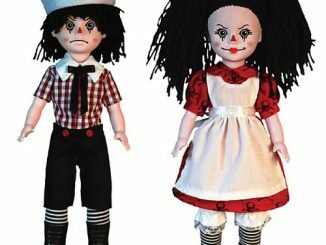 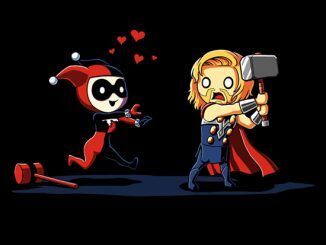 Love is blind, but is it also rotten? 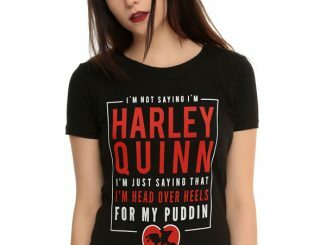 The Harley Quinn Rotten Love Ladies T-Shirt says it is, and it’s probably true when your boyfriend is known as the Clown Prince of Crime. 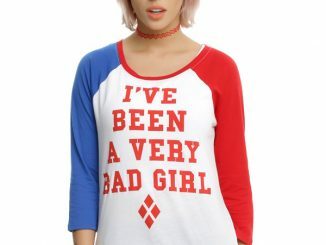 Okay, be honest. 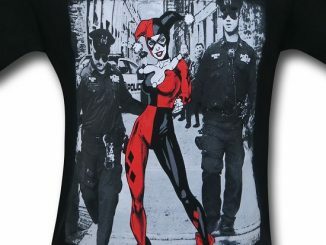 Who will be the first to get this design as a tattoo? 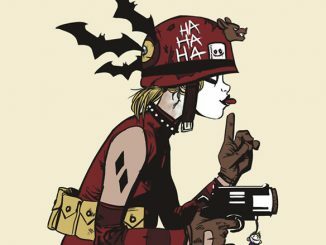 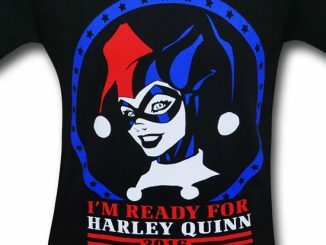 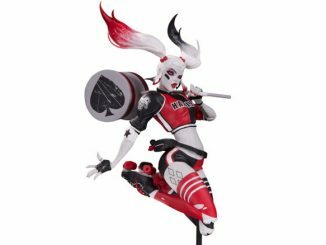 In addition to Harley Quinn’s name, the eye-catching design also features her gun and her unique ‘Good Night’ bat, along with two roses (one with a touch of pink, one with a touch of blue) and a heart wrapped with a ‘Rotten’ banner. 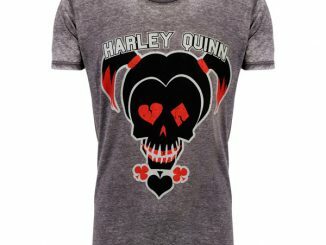 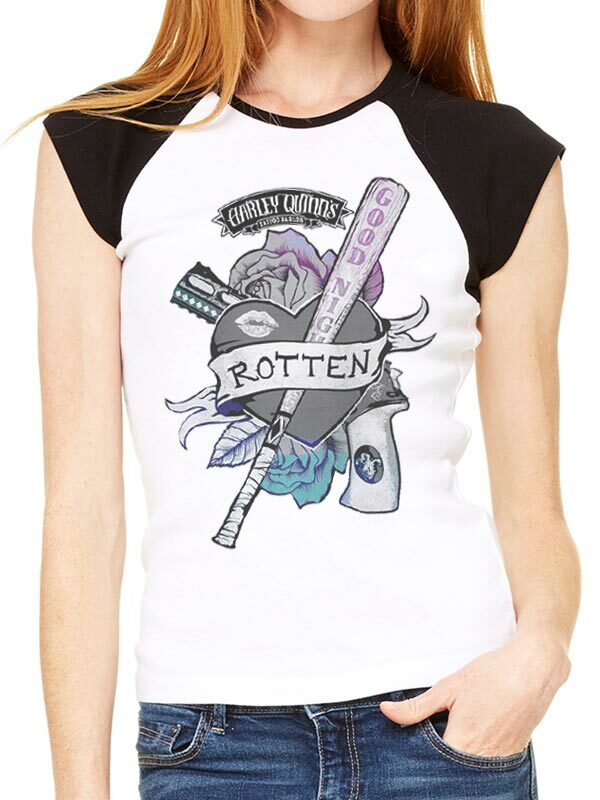 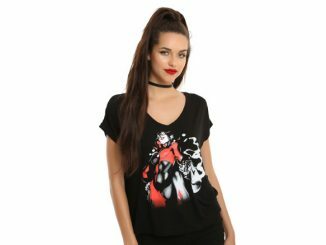 The Harley Quinn Rotten Love Ladies T-Shirt will be available August 1, 2016 but it can be pre-ordered now for $27.99 at Merchoid.